Open to the first 100 Bloggers. Once the list has been approved by ESSIO Shower, you’ll be asked to confirm your mailing address for the starter kit to be mailed to you. The reviews and giveaways are asked to be completed within 30 days of your receipt of the product from ESSIO Shower. You can use this product review and giveaway either as your only-blog giveaway or enjoy this opportunity for your blog hops and blog campaigns. Bloggers Are Wanted For Deliciously Savvy’s Next Giveaway! Kreation Krate Subscription Krafting Service! The Giveaway Is For Septembers 2014 Kreation Krate! Deliciously Savvy received a Kreation Krate (August’s 2014 Edition) for review and it was awesome! I will post my review in the giveaway post, but wanted to get this out there for anyone interested in the giveaway! The Winner Of This Giveaway Will Win The September 2014 Kreation Krate! This Box Was Loaded With Everything You Could Need To Create These Awesome Works Of Art! My Daughter and I have had a blast creating each and every one, So I cannot wait to post them for all to see! My review of August’s Kreation Krate will be included in the Giveaway Post If Not Before! This was an amazing experience for me and my daughter…. we had a lot of bonding time with this fabulous subscription Craft service… so check it out today! So…. I need help promoting this fabulous subscription service with the September Kreation Krate Giveaway…. $3 Co-Host ($3 for 5 links of your choice) PLUS the 2 FREE Links and a secret word page or Facebook, Twitter, Pinterest Follow Page (or two depending on # of sign ups) and you will be listed on the Giveaway as Co-Host! Open To US ONLY, Must Be 18 Years Old To Enter! Thanks so much for being a part of my Giveaways ~ Everyone can enter! 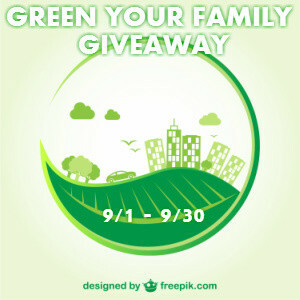 Bloggers needed to help spread the word about this giveaway! If you have anything that you want to include in this giveaway please email: las930 at charter dot net.